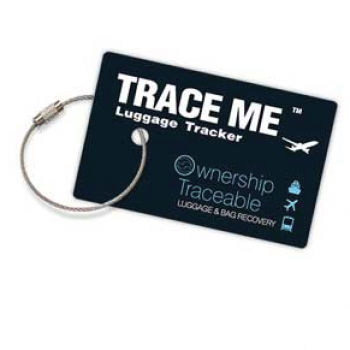 TRACE ME luggage tracker is the smart way to protect your bag and its contents from loss. TRACE ME is a simple & secure bag tag with a very smart difference. The unique serial number acts like an international passport for your luggage. No moving parts, no batteries - just simple. All beautifully branded with your company logo or message.